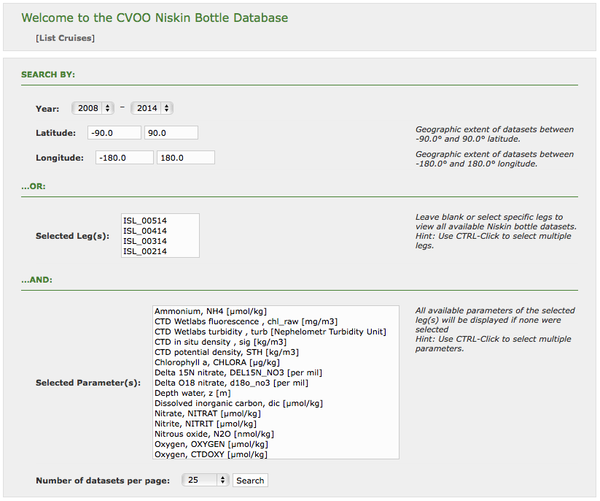 The CVOO Niskin data base is implemented into OSIS and provides direct access to the calibrated bottle data. With the integrated search function you can directly access the data you want (e.g. "all Oxygen measurements from 2010-today north of 10°N"). Since you need special access rights, please contact the CVOO data manager.